Newsflash! TRY Yoga Unleashed! This Sunday! Thanks to Vilde Braanaas for design! 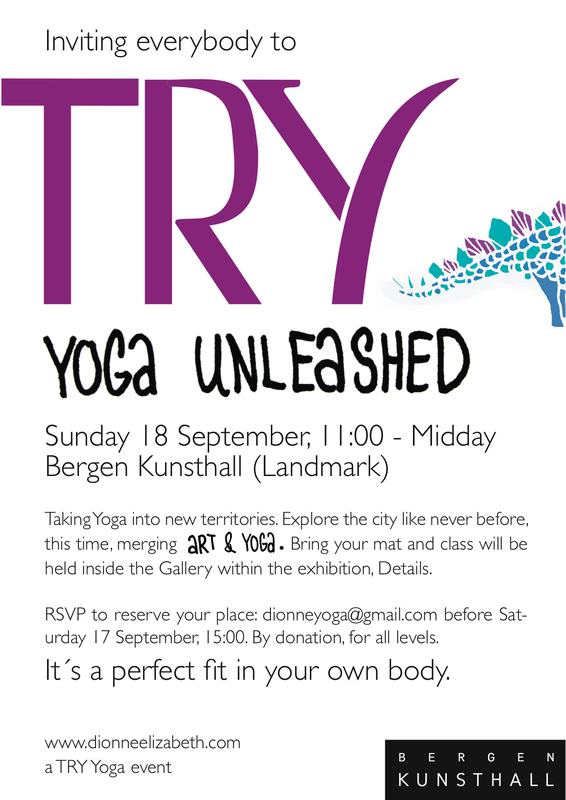 This entry was posted in lifestyle, news, schedule and tagged Bergen, Bergen Kunsthall, event, Exhibition, Gallery, TRY Yoga Unleashed. Bookmark the permalink. ← Making space for Transformation: On cold custard and vegetarian sausages. Plus playlist.